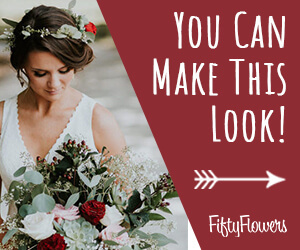 I continue to add more hydrangea leaves around the base of the Belle straight bouquet holder. 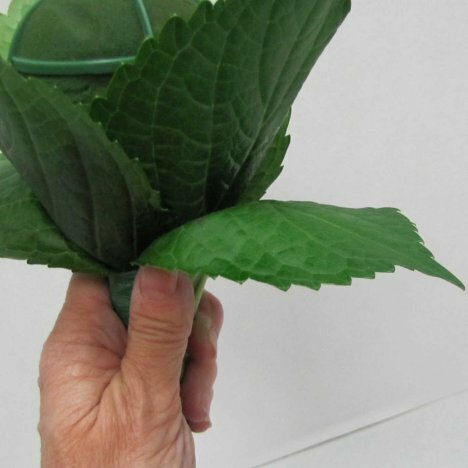 Notice that I am now "cupping" the leaves - folding them in a way that the leaves bend outward rather than straight up and down. 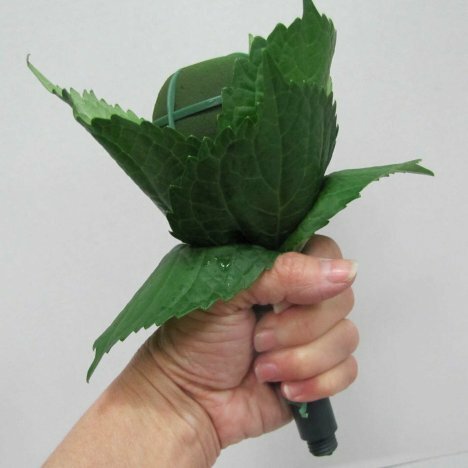 Simply cup the leaves around the handle, folding them over your fist before taping into place. 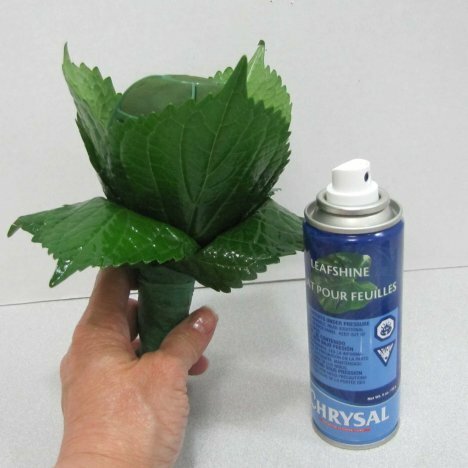 Once I am satisfied with the final effect of the leaves, I spray them with Leafshine, a product that gives a polished "clean" finish to the leaves. Hard water often leaves the greens with a splotchy white look. 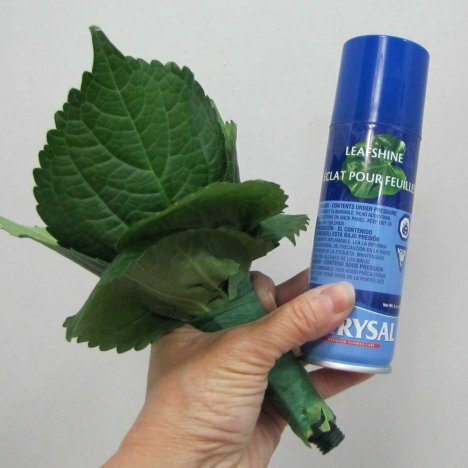 Leafshine is a florist secret product that gives a glossy shine to all leaves and plants. 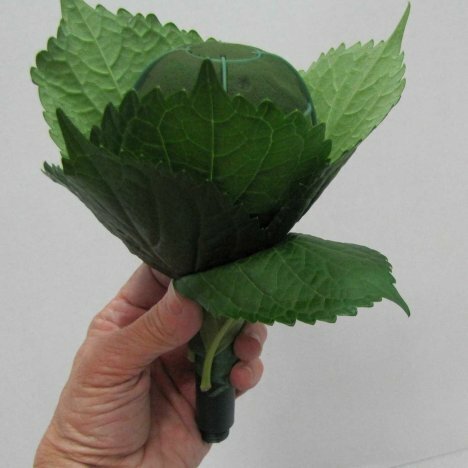 Allow the Leafshine to dry completely before going on to the next design step.